If we are just talking about an armored suit that augments a human's strength and weaponry, then we're extremely close. But if we're talking about something with all of the primary abilities of Iron Man's character (i.e. flight, clean infinite power, and repulsor beams), that may never become a reality. The current version in the comic books is even more insane than the one in the movies—the suit's made almost entirely of nanites, which can repair or replicate themselves and any weaponry on the fly. So how close are we? First, I'll break down the things we (unfortunately) cannot do, and then, I'll treat you to some really awesome stuff we can. We just cannot have a flying suit like Iron Man's. Not exactly, anyway. The main reason for this is the tiny rocket engines and repulsor beams. I go into quite a bit of detail about the flight systems of the suit as they are described in the comics and a bit about the technology as it was laid out generation by generation from Iron Man Mark I to VIII+ here. One of the key components of the Iron Man suit is its repulsor beams, and that's a kind of technology we may not have anything like for a very long time (if ever). The only logical explanation is that they are some kind of graviton manipulator. This is so far out of our current technological realm that we can't even begin to guess how it could possibly be done with what we currently know. It is not entirely clear how the suit's reactor works. It's smaller than a soda can, but can produce more power than the miniature reactor on a Virginia class nuclear submarine. It has something to do with zero point energy and a continuous self sustaining reaction that would appear to break most rules of thermodynamics that we know of. It could possibly be some type of cold fusion reaction, but again, we have no clue how to even begin doing this in such a small size. No reaction is 100% efficient, so the waste heat alone from such a reactor would likely be enough to cook the person inside the suit. Okay. So that was a bit of a letdown. Now, what could we do? The answer is, actually, a lot! We could almost exactly copy the original Mark 1 prototype armor from the comics either right now (today) or in the next few years. The Mark 1 above is not all that different from Raytheons XOS 2 powered armor suit below. It's stronger than a human and has heavier armor than a person could otherwise carry. The video below shows how the enhanced strength from the exoskeleton allows a soldier to lift 200 pounds without any effort at all. A soldier would also then be able to carry a much heavier pack and armor. Lastly, the suit reduces fatigue even for physical activities like pushups. In other words, it does all the work for him. A prototype design concept for future development, which can also be seen in the background of the video above, lies below. Not to be outdone, Lockheed Martin has its own powered suit called HULC. It has less overall strength but still reportedly allows a soldier to carry a 200 pound load, and it seems they have working units that can function untethered. Still, there's no word on how much of that 200-pound load is currently being devoted to batteries. While nothing like an Arc Reactor, we do expect a tethered version that could walk alongside a vehicle carrying the suit's generator in three to five years. In this case, it would mostly be used to lift heavy materials in and out of vehicles for deployed soldiers. This would allow a very small team to rearm a vehicle or chopper in the field, while still allowing them to quickly unload bulk supplies and move on out of harms way. In six to 10, years they expect to be able to power the suit with its own internal power supply. The most limiting factor is battery technology, but that is slowly improving. We would have trouble with finding a power source and would need to recharge frequently. This is actually okay because the Mark 1 had the exact same issue! The Mark one used "transistors" (capacitors they meant possibly?) to power the suit and allow it to be charged rapidly from any wall outlet. Unfortunately it ran out of juice very often. Still so far so good. You didn't expect us to start out with a Mark VIII dynamic nanite colony suit did you? As I stated before, we can't have flight like the Iron Man from the movies, but the Mark 1 didn't have that capability either. Supposedly, it was still able to make short jumps or bursts of flight using "compressed air." We have actually had designs similar to this for decades. The military designed a series of "jump jets" or "rocket belts" that used a highly concentrated mix of hydrogen peroxide along with a catalyzing agent to create jets of high intensity steam, allowing a person to fly mostly vertically—precisely what the Mark 1 did. Some other models used liquid nitrogen instead. Either one can be deadly if the fuel tank ruptures, and being dissolved by 90% pure hydrogen peroxide or frozen by liquid nitrogen is not a pleasant way to go. Okay, so that is obviously very cool but with a flight time measured in seconds and a world record of only 150 feet, this won't do for a superhero or a soldier. Enter the Martin Technology JetPack. In this video we see the device climb to 5,000 feet and deploy an emergency parachute at 3,000 ft. This was actually flown by remote control in a chaser helicopter with a dummy, but that also shows how a navigation computer or assistant could help with flight in an emergency. The flight system is bulky but it could be attached to the XOS and used to enter hostile territory. After you arrive, you park it somewhere inconspicuous and move in to deal out some Iron Man-style justice. Just don't forget where you parked. Lastly, if all that wasn't enough for anyone dreaming of soaring like a jet as opposed to a tiny helicopter, there is one last option. Yves "Jetman" Rossy has pioneered a wearable jet flight pack. It has the drawback of not being powerful enough to reach flight altitude on its own, but once in the air, it can perform take on some impressive flight. As daring innovators like these continue to create amazing devices, it is only a matter of time before some type of human-scale personal flight system becomes viable. Yes, we could expect something very similar to Iron Man in the next 3-15 years if we are willing to settle for the Iron Man Mark I suit. The number of ways in which such a device could change the battlefield or dangerous police and emergency rescue operations is almost too many to list. We could also have versions of these suits in use at factories and manufacturing plants around the world. We wouldn't need a forklift or dolly anymore for those simple yet tiring jobs, we would become the forklift. The benefits to workers on assembly lines would also be enormous as workers would get fatigued much less often and injuries from strains would be very uncommon. Eventually technology will allow these suits to work without the human at all—but that is still a long ways off. Or is it? 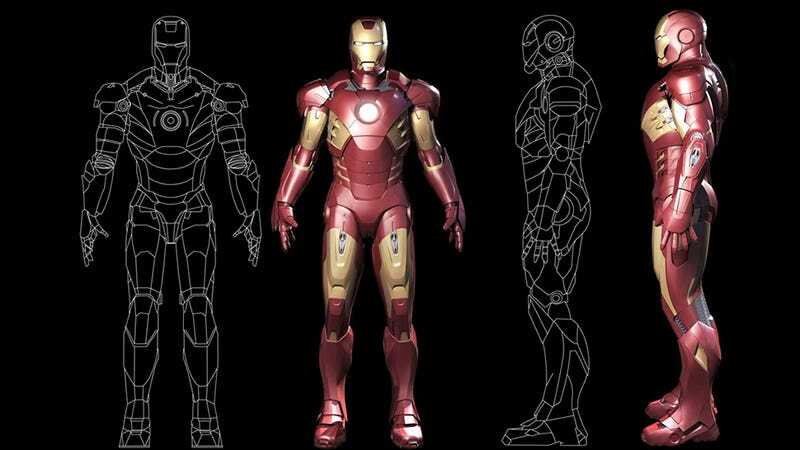 How close are we to a real Iron Man suit? originally appeared on Quora. You can follow Quora on Twitter,Facebook, and Google+.